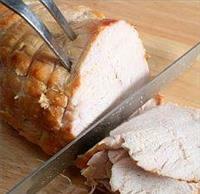 Combine soup, broth or wine and seasonings and pour over turkey breast. Sprinkle with paprika. Cover and cook on high setting for 1 hour then turn to low setting for 6 to 7 hours. Internal temperature of breast should reach 170°F when done.